On a beautiful Friday in October, I had the chance to spend my afternoon at the city campus of our own University of Antwerp to attend a PhD defence from a colleague. The sun was shining bright and I was eager to see a glimpse of our own city again. Us exact scientists do not see the city that often, as we are confined to the outer campuses, in the less touristic suburbs of Antwerp. So this ‘ones in a lifetime’-visit to the city center served as a nice reminder of the aesthetic value of our city and its university. In the impressive sixteenth century city palace of Hof van Liere, the heart of the University of Antwerp, you breath in the history of years and years of education. The atmosphere says only one thing: university is a lifestyle. I just love it. This gothic palace (for architectural facts I have to believe the internet) blends in nicely with the whole city of Antwerp, which is packed with one exciting historic building after an other. On this sunny autumn day, all of them showed themselves from their best side, and every light beam fell on a new surprise. Or how one sunny day can help you rediscover a city you have known forever. I was glad I decided to park my car on a ten minutes walk from the university buildings, so I could cross the historic center. Church after church, the old houses along the market place, the fortress overlooking the river, a clarinet player on the Hendrik Conscienceplein, itall added to the unique feel. Especially the last one deserves some special attention. Maybe I should not give away a public secret, but the square in the beautiful shadow of the Carolus Borromeus church is on a sunny (and maybe even a rainy) day definitely the most romantic spot in the whole city. Go there and discover it yourself! So if you ever have the chance to visit Antwerp our its University, I definitely recommend it, even if it would only be for being welcomed by its beautiful architecture. This entry was posted in Belgium and tagged Antwerp, Architecture, Art, Belgium, Building photography, City, City trip, Historic, History, Photography, Tourism, Travel, Travelling, UAntwerpen, University. Bookmark the permalink. I loved antwerp, possibly my fave belgian city! 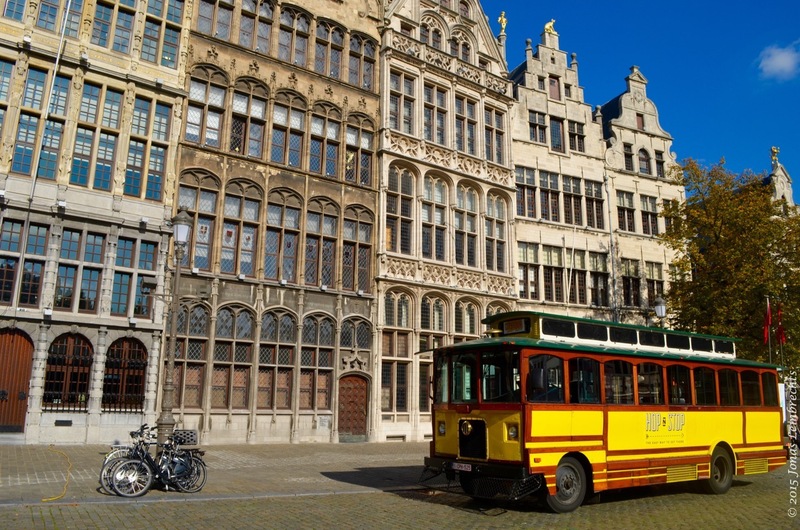 Plenty of nice cities in Belgium, though, I wouldn’t dare favourising one over another ;). Yellow leaves of mountain birch, with lake Torneträsk in the background. Western European species like the red clover (Trifolium pratense) here are often listed as non-native species in mountain regions. Although the alpine zone has been harder for invasives to access than most places, human structures like trails are often an easy gateway for the invaders to get up there. Picture from Abisko, Swedish Lapland.